We had a small fire in our kitchen this week. We still aren’t entirely sure how it started, but it seems something toppled something and soon all things near the top of the stove were ablaze. I wasn’t home, but a cat worked better than a smoke detector in alerting my husband, and in a matter of minutes all was well. Except the stove. And the smell of smoke and burning plastic that enveloped the house. At times like that we are grateful—that we are safe, that the damage is minimal, that our home is secure, and all two-legged and four-legged occupants are fine. But I am finding that the cleanup process is making me grateful for things I seldom contemplate. At the moment, the sound of three enormous air cleaners and a duct-cleaning machine is literally rattling our small house. When the machinery all leaves (in a few days, apparently) I will have a whole new appreciation for our quiet home. I have a profound sense of gratitude for whoever first thought of insurance, and the efficient way all our representatives have gone about making things right. The experience, particularly happening in this traditional season of thanksgiving, has made me think about how some creative thinking about gratitude will be good for both our creativity and mindfulness in the world. So here’s my challenge, for you and possibly for your students. Name five things for which you are grateful, despite the fact that you seldom think about them. 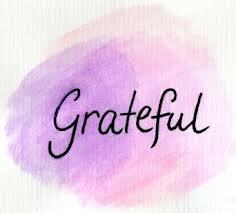 If you are doing this with students, the challenge is to think of things no one else will name–but they must be able to explain why they are grateful. It is wonderful to be grateful for mud or mosquitoes, as long as there is a reason. Name at least one thing that is usually annoying, but when you consider more carefully, makes you grateful. Here’s my list, random acts of gratitude off the top of my head. What’s yours? 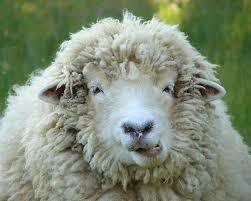 I’m grateful for sheep. Nothing keeps me quite as warm as my wool sweaters. I’m grateful for color, and the ability to see it. The world is so much more beautiful that way. I’m grateful for the ability to taste. Wouldn’t eating be a chore if we didn’t enjoy it? I’m grateful for my refrigerator, and the fact that I don’t have to worry about keeping our food safe to eat. For my annoying thing, I’ve decided I’m grateful for cold Michigan winters that are too frigid for lots of even-more-annoying life forms to live. We don’t have fire ants, or killer bees, scorpions or coral snakes. 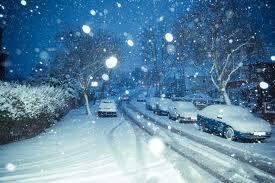 In the snow we have no mosquitoes, no ragweed or allergy-inducing pollen. So as winter approaches, I’ll bundle up and try to be grateful for cold. Of course, my friends may have to remind me of this post, come January! So how about you? When you use your flexible thinking, can you be grateful for something you usually find frustrating or annoying? I’d love to hear about it.